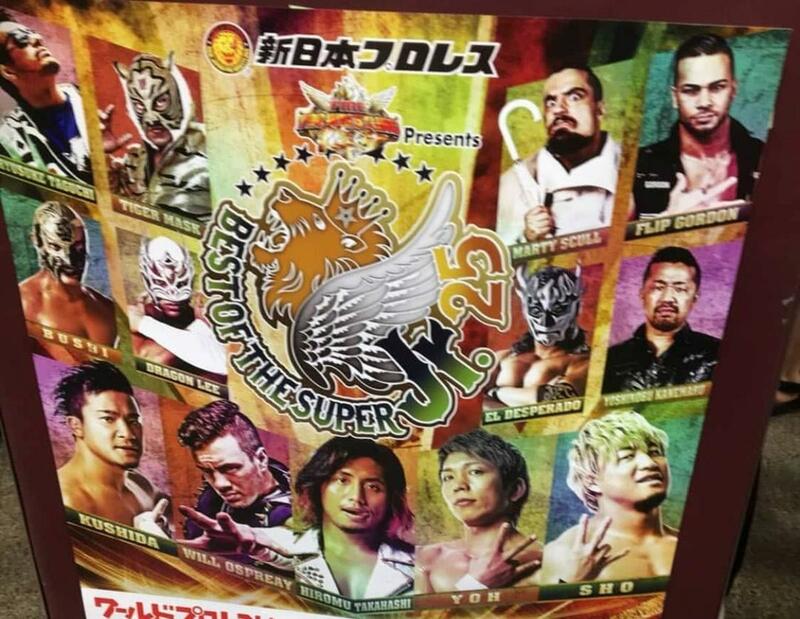 Advertising for this year's Best of the Super Juniors appears to have revealed most of the lineup for the tournament. IWGP Junior Heavyweight Champion Will Ospreay, Hiromu Takahashi, KUSHIDA, Marty Scurll, Flip Gordon, Dragon Lee, BUSHI, Sho, Yoh, Ryusuke Taguchi, Tiger Mask IV, El Desperado, and Yoshinobu Kanemaru are featured on the poster. Assuming there will again be 16 wrestlers in the field, there are only three names left to be announced. Gordon officially confirmed on Twitter that he'll be in the tournament. It was teased that he would be taking part in it when he wrestled for NJPW for the first time on their Honor Rising tour with ROH in February. Dragon Lee suffered a leg injury at CMLL's Arena Mexico show last Friday. The severity of it has yet to be confirmed, but Luchablog notes that he was back in the gym yesterday. This year's Best of the Super Juniors will begin at Korakuen Hall on May 18th and conclude at the venue on June 4th. If Ospreay doesn't win the tournament, the winner will likely challenge for his title at Dominion on June 9th.